$22 per jewelry box, pay at event. 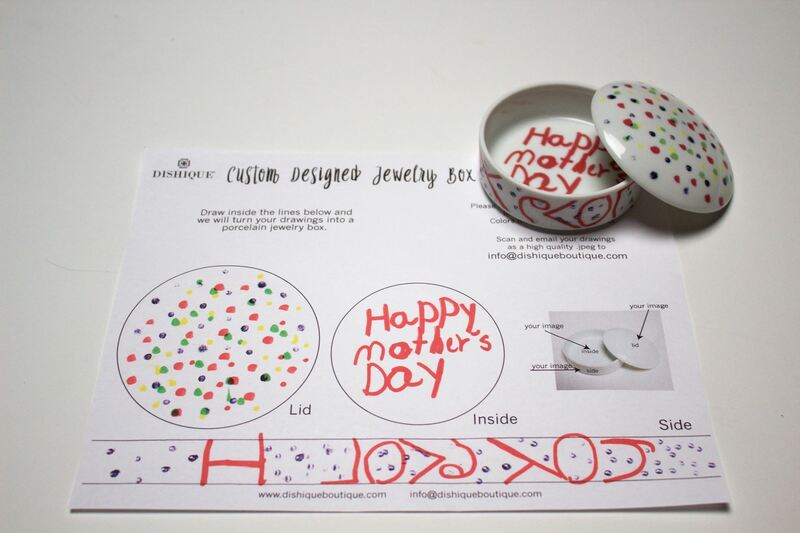 We will provide a template for the inside, outside and lid of a jewelry box for your child(ren) to decorate with markers or crayons. When the templates are completed, we will collect them and transfer them into ceramic decals to be applied to the porcelain jewelry boxes. 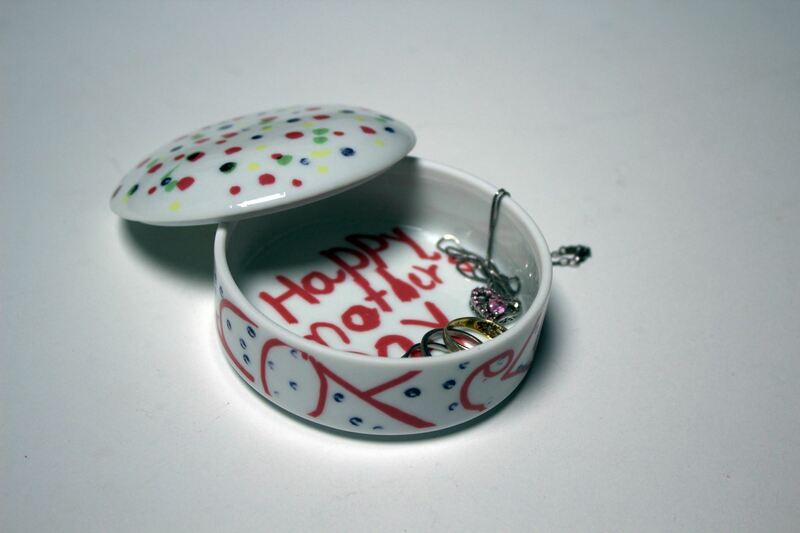 The one-of-a-kind jewelry boxes will be ready for pick up May 8th, just in time for Mother's Day! The cost is $22 per jewelry box. This fee covers the cost of all materials and labor involved (applying the design to the porcelain dish and firing it in the kiln). Cash, check or credit cards are accepted. This event is limited to 20 kids. When registering, please indicate how many jewelry boxes your family will make.